Smalley General Contracting is a locally-owned general contracting company operating in Paradise, CA. We’re capable of handling new construction for homes, from design all the way through to project completion. We are also happy to handle remodeling projects of all types. Consult with us today and bring your dream home concept to life. The concept of a dream home is something everyone can relate to. Since we founded our company in 2006, Smalley General Contracting has worked hard to help make dream homes a reality for our clients—whether it’s building a new house from the ground up or remodeling an existing home to be just right. We’ve served a wide range of customers across Butte County with our general contracting services, working on an entire scope of projects to bring them from the design phase, all the way through completed construction. No matter what kind of home you have in mind, our team is capable of taking your vision and bringing it to life with your exact specifications. We make dream homes a true reality! Beyond our full-scope design-build construction services, we also offer a wide array of other opportunities to our construction clients. 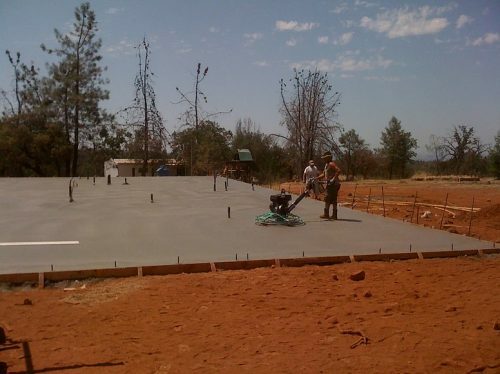 As general contractors in Butte County, CA, we are capable of handling just the design or construction phases by themselves, alongside lot preparation and development services before new construction takes place. We can also handle comprehensive remodeling projects for bathrooms, kitchens, additions and concrete projects. We make it a priority to provide top-notch service, in addition to high-quality work, ensuring you have the best possible experience in working with our team. See for yourself why we have earned a strong reputation as construction contractors in Butte County, CA. As design-build contractors, we ensure open communication and timely project completion, giving you the best value for your money. We offer a wide range of services, allowing us to be your all-in-one contractor on a diverse range of construction projects and developments. We have a significant amount of experience in Butte County and strive to be a recognized contractor within our service area by always providing great results. We are accredited by the Better Business Bureau (BBB) and maintain a superior A+ rating. As a family-owned and operated firm, we go out of our way to provide personalized, attentive services to all of our clients. For more information about the services we offer, from design through construction, contact us at (530) 873-4418 and we’ll be happy to answer your questions.